Home / Unlabelled / ERAP confirms big drug laboratories protected by some politicians calls for unity to support Duterte on his War against drug lords! ERAP confirms big drug laboratories protected by some politicians calls for unity to support Duterte on his War against drug lords! 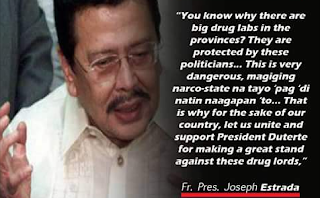 Former President Joseph Ehersito Estrada confirms that big drug laboratories i the provinces are protected by politicians. "You know why there are big drug laboratories in the provinces? They are all protected by politicians. " 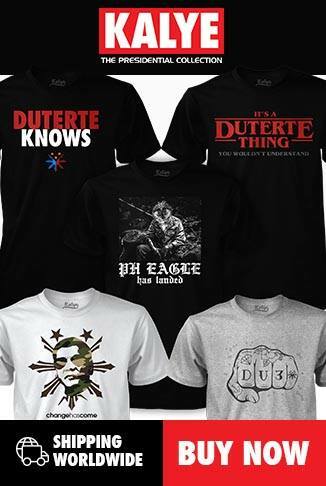 said Erap. He also emphasize how dangerous it is for our country and warned that we might become a narco state. "This is very dangerous magiging narco state na tayo pag di natin naagapan." he added.